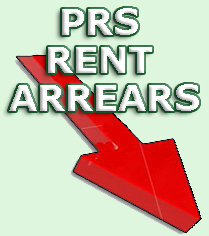 Currently viewing the tag: "Arrears"
Private Rented Sector (PRS) rent arrears dropped in February with 9.3% of all rent late or unpaid at the end of the month, down from 10.7% in January. With household bills increasing, UK unemployment still rising and the whole country still struggling to avoid a double dip recession as a result of the Eurozone crisis, together with the government’s welfare reforms and public sector belt tightening, there hasn’t been a great deal of optimism around, especially from landlords. However, figures released by LSL property services show that UK landlords have a little less to worry about, with the amount of rent arrears and late payments falling again. Either private sector landlords are having an excellent run of good fortune, having tenants who are able, paying the rent in full and on time, or they have become smarter and are now utilising the range of Rent Guarantee products that are currently on the market, to ensure they get paid and their monthly cashflow doesn’t suffer. Being a landlord and letting a property in the UK means there will always the risk of the tenant not paying the rent, (rent default). Even the best tenant referencing service cannot predict if a tenant will lose their job and fall on hard times and not be able to pay their rent. How do landlords cover their expenditure if this happens? In today’s struggling economic climate, many UK landlords are finding their tenants struggling with rising unemployment and increased bills. Often leading to the rent not being paid and the tenant facing eviction when the amount of rent arrears exceeds 8 weeks. Recovering arrears can be difficult and costly for landlords, without any guarantee of success. At Legal 4 Landlords, our Rent Guarantee Insurance will cover landlords against their tenant defaulting or failing to pay the rent. Private rented sector property rents in the UK are only expected to rise moderately in 2012, remaining almost in line with inflation and salary increases, according to the Belvoir rental index, which records monthly and annual rents across the popular letting agents 140+ UK offices. Their data shows that in the UK, property rental fluctuation is very regional and this is likely to continue throughout 2012, with areas such as the South East likely to see a higher increase as residential property rental prices force people out of London into the Home Counties. Dorian Gonsalves, Managing Director of Belvoir Lettings said “With regard to other areas of the UK I think rents will be relatively stable and increases are likely to be very modest. Landlords should be realistic and it is worth noting that, according to the Belvoir rental index, many areas have still not recovered to the level of rents that were being achieved in 2008. I predict that increased rents and stable or decreasing house prices will result in increased rental yields in 2012. However, this is clearly very dependent on the outcome of the Eurozone crisis and its impact on credit and borrowing. The current crisis is making consumers nervous, which will affect both the buy to let and mortgage market”. A recent phenomenon noted by letting and property managing agents across the country is the occurrence of “double renting”, (homeowners who are struggling to sell are letting out their existing home to provide an on-going income stream and then moving to another lower cost rental property). Double renting helps avoid the stamp duty and legal costs that are associated with buying and selling, enabling savvy homeowners to remain invested in the property market until the situation improves and sell at a profit. “I believe that for reasons of flexibility, mobility and budget, 2012 will see a shift towards more people viewing renting as a preferred lifestyle choice rather than a necessity. By renting a property people are able to plan their spending much more accurately and have the flexibility to follow job offers etc. These factors are becoming increasingly important, particularly in the current financial climate. Because of the regional variations in rental yields it is very important for landlords to talk to specialists who understand the local market, as buying in the wrong area could be very costly. 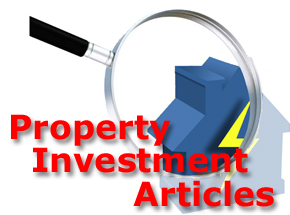 We are able to report on regional markets rather than providing a broad brush approach, which is not particularly helpful from a property investment perspective”, explained Mr Gonsalves. PRS Market Set For Decline? The demand for Private Rental Sector (PRS) residential property and the rise in the number of tenants struggling to meet their rental payments on a regular monthly basis is expected to see the decline of the UK residential property rental market. According to the latest lettings survey from the Association of Residential Letting Agents, (ARLA) 55% of its members reported more tenants than available properties in the last quarter of 2011, down on 74% reported in the previous quarter. 39.2% of ARLA members reported an increase in tenants struggling to pay their rent, over the same period, a figure up from 36.7% the previous quarter. President of ARLA, Tim Hyatt, said: “With household income decreasing and job uncertainty prevailing, it could be that increasing rental arrears is a sign that the wider economic malaise is having a tangible impact on personal finance – some consumers may have reached the limit of their access to finance, while others may be cutting back as many commentators have predicted. We are reassured by the fact that the number of new tenancies is stable, but we will be watching the market closely in the coming months to determine how significant these latest figures will prove to be”. The number of First‐Time Buyers (FTB) able to secure finance isn’t expected to significantly increase during 2012 so the demand for the limited supply of private sector rental accommodation will only continue to rise. It won’t be long before rents will resume an upward trend. With the mortgage market still facing more financial fallout from the Eurozone crisis and the wider economy remaining sluggish, UK credit conditions are unlikely to ease significantly in 2012. As household income become even more stretched during the course of the year, it is expected that the current rental boom will begin to decrease outside of prime areas in the latter half of this year. With the numbers of tenants having trouble paying their rent being on the rise, UK Landlords are encouraged to use Rent Guarantee products from reputable suppliers such as Legal 4 Landlords as a means to keep their rental income flowing in. In the current economic climate, many landlords are finding their default rates soar as tenants struggle with rising unemployment and increased bills. Recovering arrears can be difficult and costly for landlords, without any guarantee of success. The UK Coalition Government plans to cap benefits will still be fully implemented despite the parliamentary defeat in the House of Lords on Monday this week. A defeat that saw 26 Lib-Dem peers rebel against the Government’s wishes. Although, the Government have admitted that whilst disappointed by the result, they still intend to push through the plans for welfare reform in full. The plans have caused deep unease in the Lords and prompted a number of Church of England bishops to launch a bid for the reforms to be curbed, backed by a majority of 15. Work and Pensions Secretary Iain Duncan Smith led the Government’s call for all benefit payments limited to a maximum £26,000 a year per household, claiming that it will save approximately £600 Million (GBP) towards the UK’s multi Billion pound economic deficit. Lord Paddy Ashdown joined 25 other Lib Dem peers voting for child benefit to be excluded from the cap calculations. The former party leader, previously a loyal supporter of the Government, said that as president of the United Nations children’s agency UNICEF, he was not prepared to back the Government’s plans in their current form, denouncing them as “completely unacceptable”. Deputy Prime Minister Nick Clegg has stated that he fully supports the Governments changes to the welfare benefit system, despite the rebellious divisions from within the Lib-Dem ranks. Around 67,000 families will lose £83 a week under the cap, which is due to be brought in from 2013 in England, Scotland and Wales. It is expected that the welfare reforms will result in many families currently claiming housing benefit facing mounting financial pressures and even eviction from their homes, if they are unable to pay the rent. If UK landlords do find themselves in the unenviable position of chasing bad debts or rent recovery, or if the worst happens, having to evict defaulting tenants then they should use the services of a reputable eviction specialist such as Legal 4 Landlords, to save effort, money, time and stress. The coalition Government face another battle over welfare reforms, this time in the House of Lords. The outcome will affect individuals and families in receipt of local housing allowance (LHA) or housing benefit, who are in private rented sector (PRS) properties. The Welfare Reform Bill, currently going through the House of Lords, is set to cap total benefits for working age households at £26,000 a year. The total payment would include the present Local Housing Allowance, paid to housing benefit tenants in private rented sector accommodation. However, a number of peers fear this would disproportionately hit larger families with children in temporary and private rented sector housing. The Bishop of Ripon and Leeds, the Right Reverend John Richard Packer, has tabled an amendment which would exclude child benefit for the purposes of the benefit cap. The amendment is expected to go before the Lords next week (January 23rd 2012), and is likely to gain support from many areas, including Liberal Democrat peers who have previously rebelled against the Government. 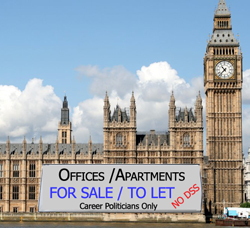 The UK government’s welfare reforms are bad news for both tenants and landlords. Struggling tenants already face mounting debts and real financial problems including the threat of eviction if they are unable to keep up with the rental payments and slip to more than 8 weeks in arrears. This results in a double blow for landlords, not only do landlords have to suffer loss of income because the tenants have not paid the rent but also the further expense of court action to have the tenants evicted. UK landlords have little confidence in the current Housing Benefit system and the majority would try to avoid accepting tenants in receipt of benefits due to the extra hassle and headaches that dealing with local authorities and local government departments cause. Landlords claim that tenants who do not receive any form of welfare support are far more reliable when it comes to paying the rent on time and generally looking after the property. •	86% of Buy-To-Let landlords surveyed were against the welfare reform of the UK benefit system which since 2008 has automatically paid Local Housing Allowance (LHA) directly to the tenant, except under exceptional circumstances. •	87% of UK landlords who accept tenants in receipt of Housing Benefit have had problems with the rent not being paid on time. 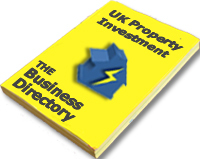 •	11% of landlords have had benefit tenants who have stopped paying the rent. (including late payments, no payment at all, issues arising from the suspension of benefit payments and/or damage to the property). •	45% have previously taken in LHA tenants. •	58% had previously experienced multiple problems with benefit tenants. 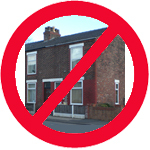 •	74% would refuse LHA tenants even if the tenant had a working, homeowner as a guarantor. Legal 4 Landlords spokesman Sim Sekhon agreed; “The current LHA benefit system requires an overhaul as it causes many financial problems for landlords. Unless the tenants are in arrears and the local authority has agreed to make direct payments, the landlord has no guarantee of receiving the full rental payment from the tenant every month, unless they have Rent Guarantee Insurance.